Sam Kerr scored in the 87th minute to give the Chicago Red Stars a 1-0 home victory over Seattle Reign FC on Saturday night at Toyota Park in Bridgeview, Illinois. The Red Stars keep their playoff hunt alive with the win and improve to 7-4-7 and 28 points in fourth place. Seattle Reign FC hold on to second place in the league standings at 8-4-5 and 29 points. This was the Red Stars second-straight win, with their last three points also featuring a standout Kerr performance where the forward earned a hat trick in their 3-1 win over Sky Blue FC in Week 15. Week 16 wasn’t much of a Kerr show until the 87th minute rolled around. 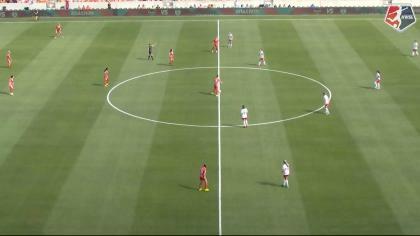 Red Stars forward Yuki Nagasato played Kerr down the center and Kerr opened up her hips and placed the ball far right for the 1-0 lead. In the first half neither side was able to find a breakthrough. In the 35th minute Chicago Red Stars defender Arin Gilliland went up for a challenge and was taken out of the game due to an injury which looked to be to her neck. The broadcast stated that Gilliland was taken to the hospital after she exited the match. The start of the second half began with Seattle pressing, led by forward Megan Rapinoe. Rapinoe combined on back-to-back opportunities for her side, yet neither proved to be the go-ahead. Chicago was quick to respond to Seattle’s pressure and as time ticked away started to find their rhythm offensively. Kerr and Nagasato combined in the midfield and midfielder Morgan Brian had a close chance at the top of the box. Seattle finished the game with 13 shots to Chicago’s 19. The Red Stars held a slightly higher passing accuracy at 77.0% to the Reign’s 76.2% and also had the better of the possession at 50.7% to the Reign’s 49.3%. Reign FC goalkeeper Michelle Betos earned five saves on the night and Chicago Red Stars goalkeeper Alyssa Naeher made three saves in the win. Naeher also picked up her sixth shutout this season. Match ends, Chicago Red Stars 1, Seattle Reign 0. Second Half ends, Chicago Red Stars 1, Seattle Reign 0. Attempt missed. Jasmyne Spencer (Seattle Reign) right footed shot from very close range is too high. Assisted by Michelle Betos with a headed pass following a corner. Rosie White (Chicago Red Stars) wins a free kick in the defensive half. Foul by Adriana Leon (Seattle Reign). Attempt saved. Rosie White (Chicago Red Stars) left footed shot from a difficult angle and long range on the right is saved in the top centre of the goal. Rosie White (Chicago Red Stars) wins a free kick on the right wing. Goal! 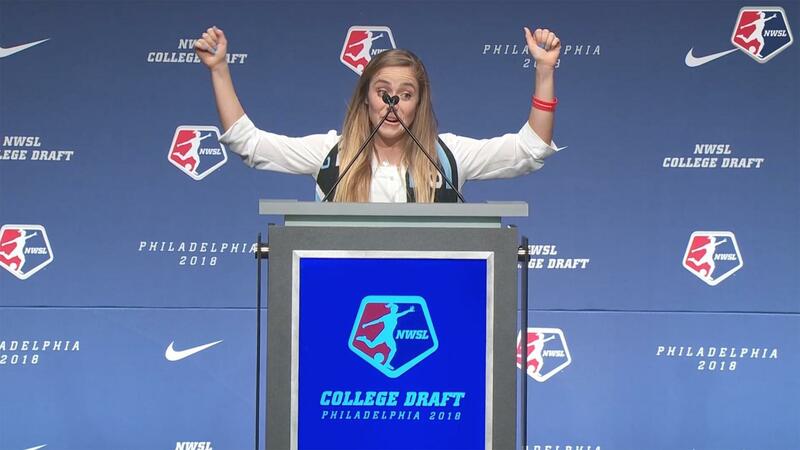 Chicago Red Stars 1, Seattle Reign 0. Samantha Kerr (Chicago Red Stars) right footed shot from the centre of the box to the centre of the goal. Assisted by Yuki Nagasato with a headed pass. Substitution, Chicago Red Stars. Rosie White replaces Alyssa Mautz. Morgan Brian (Chicago Red Stars) wins a free kick on the right wing. Attempt missed. Beverly Yanez (Seattle Reign) header from the centre of the box is close, but misses the top right corner. Assisted by Theresa Nielsen with a cross. Attempt blocked. Megan Rapinoe (Seattle Reign) left footed shot from the centre of the box is blocked. Assisted by Jasmyne Spencer with a cross. Attempt missed. Jessica Fishlock (Seattle Reign) left footed shot from the left side of the box is high and wide to the left. Assisted by Megan Rapinoe with a cross following a corner. Attempt saved. Jasmyne Spencer (Seattle Reign) right footed shot from the centre of the box is saved in the top centre of the goal. Assisted by Adriana Leon. Attempt missed. Morgan Brian (Chicago Red Stars) right footed shot from the centre of the box is close, but misses to the right. Assisted by Michele Vasconcelos. Attempt saved. Samantha Kerr (Chicago Red Stars) header from the centre of the box is saved in the top right corner. Assisted by Sarah Gorden with a cross. Attempt missed. Beverly Yanez (Seattle Reign) right footed shot from outside the box is too high. Attempt missed. Megan Oyster (Seattle Reign) left footed shot from the centre of the box misses to the left. Assisted by Megan Rapinoe with a cross following a set piece situation. Attempt blocked. Morgan Brian (Chicago Red Stars) right footed shot from outside the box is blocked. Assisted by Vanessa Di Bernardo. Attempt blocked. Vanessa Di Bernardo (Chicago Red Stars) left footed shot from outside the box is blocked. Assisted by Samantha Kerr. Substitution, Chicago Red Stars. Michele Vasconcelos replaces Danielle Colaprico because of an injury. Attempt missed. Adriana Leon (Seattle Reign) right footed shot from outside the box is close, but misses to the left. Assisted by Megan Rapinoe. Attempt missed. Alyssa Mautz (Chicago Red Stars) right footed shot from the right side of the box is too high. Assisted by Samantha Kerr. Offside, Chicago Red Stars. Alyssa Mautz tries a through ball, but Yuki Nagasato is caught offside. Attempt missed. Megan Rapinoe (Seattle Reign) left footed shot from the left side of the box misses to the right. Assisted by Beverly Yanez. Attempt missed. Vanessa Di Bernardo (Chicago Red Stars) right footed shot from a difficult angle on the left is close, but misses to the left. Assisted by Danielle Colaprico following a corner. Second Half begins Chicago Red Stars 0, Seattle Reign 0. First Half ends, Chicago Red Stars 0, Seattle Reign 0. Attempt saved. Samantha Kerr (Chicago Red Stars) right footed shot from the right side of the box is saved in the centre of the goal. Assisted by Yuki Nagasato. Attempt blocked. Morgan Brian (Chicago Red Stars) right footed shot from outside the box is blocked. Assisted by Casey Short. Attempt missed. Vanessa Di Bernardo (Chicago Red Stars) right footed shot from outside the box misses to the right from a direct free kick. Attempt saved. Vanessa Di Bernardo (Chicago Red Stars) right footed shot from outside the box is saved in the centre of the goal. Assisted by Danielle Colaprico. Attempt missed. Jessica Fishlock (Seattle Reign) right footed shot from outside the box misses to the right. Assisted by Megan Rapinoe. Attempt saved. Samantha Kerr (Chicago Red Stars) right footed shot from outside the box is saved in the bottom left corner. Assisted by Vanessa Di Bernardo. Attempt saved. Jodie Taylor (Seattle Reign) left footed shot from the left side of the box is saved in the centre of the goal. Assisted by Jessica Fishlock with a through ball. Attempt blocked. Samantha Kerr (Chicago Red Stars) right footed shot from the left side of the box is blocked. Assisted by Vanessa Di Bernardo. Attempt missed. Megan Rapinoe (Seattle Reign) left footed shot from the left side of the box is close, but misses to the left. Assisted by Theresa Nielsen. Attempt saved. Megan Rapinoe (Seattle Reign) left footed shot from the left side of the box is saved in the bottom left corner. Assisted by Stephanie Catley. Attempt missed. Samantha Kerr (Chicago Red Stars) header from the right side of the box misses to the right. Assisted by Alyssa Mautz with a headed pass. Attempt missed. Samantha Kerr (Chicago Red Stars) header from the centre of the box misses to the left. Assisted by Casey Short with a cross.